Visa service can be obtained either directly through the consular section of the embassy of the country you plan to visit or through a qualified passport and visa service expediter. The one you choose will depend on your location and time constraints. Before you consider the two ways to get a visa, you might want to check the entry requirements to verify the need for a visa and any other documentation. Not every country requires a visa. In fact there are quite a few places you can visit where no visa is required. 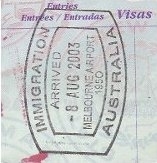 The countries that do require one usually offer the option of a single or multiple-entry visa. There are several types of visas and different countries may classify them differently but the most common types are the tourist, business, study, work, transit and resident visas. Visa processing is done by the consular services section of the embassy or consulate general of each country. Many countries are now requiring the completion of the visa application online and no longer accept printed applications. Fees, required documentation and processing times vary widely so it is important to carefully read and follow the instructions for the type of visa for which you are applying. Errors on the application or the submission of incorrect documents can either delay the process or result in denial of your request. If you need to obtain a visa quickly or you are unable to visit the foreign consulate in cases where a personal appearance is necessary, the solution is to contract a visa expediting service. US passport and visa services assist applicants in obtaining their travel document quickly. The expediter is authorized by you to submit your visa application. There are three advantages to using a visa expediting service. One, you don't have to travel to the consulate yourself and are, therefore, free to invest your time in preparation for your upcoming trip. Two, the expediter can examine your application and documentation to make sure that everything is correct before it is delivered for processing. Finally, a visa expediter can usually get your application processed more quickly than you could if you submitted it yourself. The one drawback is that there is an additional fee that has to be paid to the expedited visa service provider. However, this is usually not very much and, oftentimes, is a worthwhile investment considering the advantages listed above. Click the link to get expedited visa service.